John is and has always been a problem solver. The Atlanta native and veteran started tinkering at the age of 13 and hasn’t stopped since. He started serving in the US Marines in 1971. He’s not just fond of fixing plumbing, pipes and things around the house, but also helping others fix their problems. John spent has spent the last two years working to help fix the issues of fellow veterans that come into housing with Homes of Light. John says “it’s a great opportunity, to get to help men get adjusted to the program” and provide them with support so they can succeed. 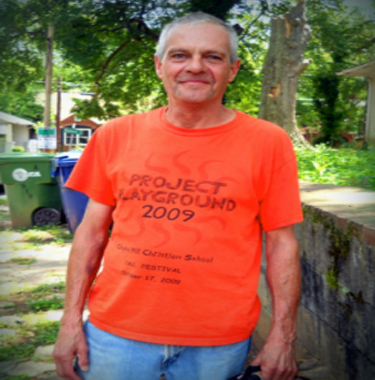 Before John got to do the fixing, he was staying in transitional housing with Atlanta Outreach Project for a year. As part of the Vets Connect program, John was given the tools and services he needed to stop using drugs and alcohol for good. Now he works to help others find their inner peace so they don’t feel the need to use substances. John stopped abusing substances over seven years ago, and never looks back. His love of “fixing” has turned into a venture that people are even willing to pay him for now, but most times he just refuses and does it for free. Aside from his handyman work, he frequents several different churches in Cobb and Douglas counties, and participates in volunteer events as often as possible.